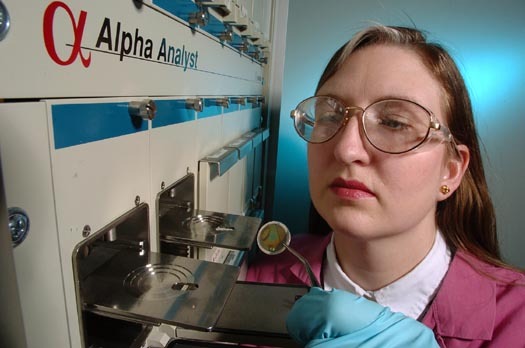 Vivian Sullivan places a plate for alpha spectrometry into the Alpha Analyst instrument. 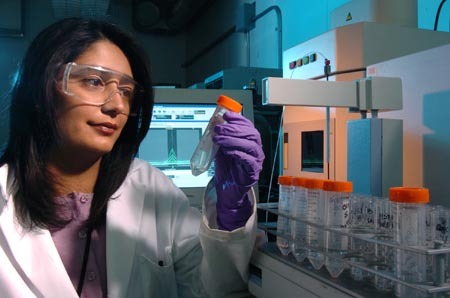 Seema Naik prepares an inorganic sample for analysis on the ICP-Optical Emission Spectrometer. Susan Lopykinski prepares a sample for mercury analysis on the cold vapor Atomic Absorption instrument. 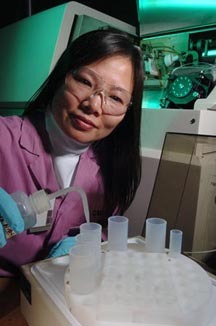 Analytical Chemist Yifen Tsai prepares a sample for analysis on the high-resolution ICP-Mass Spectrometer. 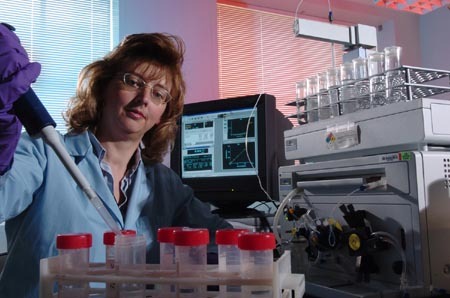 The Analytical Chemistry Laboratory (ACL) provides a broad range of analytical chemistry support services to the scientific and engineering programs at Argonne National Laboratory and specialized analysis for government, academic, and industrial organizations, including other national laboratories and QA/QC programs and audits. We handle a wide range of analytical problems, from routine standard analyses to unique problems that require significant development of methods and techniques. Wet-chemical and instrumental methods for elemental, compositional and isotopic analysis of solid and liquid samples. Analysis can be done on radioactive samples. Nuclear counting and separations analysis available over a wide range of sample types, from low-radioactivity environmental samples to samples with high radioactivity requiring containment.